I first discovered Eva Rice quite a few years ago, when I read her novel The Lost Art of Keeping Secrets, which was a complete delight. You should go and read it right now. So when I heard she was FINALLY releasing a new novel, I was ridiculously excited. Even better was that my library actually got a copy of it straight away. The daughter of a vicar, Tara Jupp is one of eight children living in a small village in Cornwall in the 1960s. Blessed with her late mother's talent for singing, Tara is more interested in secret horseback riding at one of the biggest estates in the village, Trellenack. When Lady W-D discovers Tara had been riding her horses, she agrees not to get her into trouble. Instead, she asks Tara to come to tea, and to bring her beautiful sister, Lucy, to befriend her lonesome daughter, Matilda. Soon Lucy and Matilda are inseparable, with Tara tagging along. As Lucy educates Matilda about boys, Tara spends her days working in the stables at the mansion, and singing in the church choir. The arrival of a handsome Spaniard, Raoul, disrupts things, as Matilda is convinced he's her future husband, while Lucy and Raoul, both fascinated by old estates, have eyes only for each other. They marry, breaking Matilda's heart; she loses her best friend, and the man she loves. Lucy and Tara are no longer welcome at Trellenack, and Matilda disappears from their lives. Fast forward a few years. Matilda is a successful model and reappears in the village to marry her famous record producer boyfriend, Billy. Tara performs a solo during their wedding ceremony, and her life changes forever. Billy whisks her off to London to cut a record, and Lucy accompanies them to catalogue a Victorian house set to be demolished. Tara is transformed into Cherry Merrywell, and is thrown into the recording studio with the temperamental songwriter Inigo Wallace. Recording music by day, and living fast and furiously by night, Tara experiences London in the swinging sixties from the second she arrives in town. However, life isn't as fun and frivolous as it seems. Tara and Lucy's relationship begins to unravel when Lucy's marriage hits a rocky patch, and Tara begins to push the boundaries being imposed upon her by Billy. Life as Cherry Merrywell isn't all it's cracked up to be, and Tara quickly learns that fame and fortune often come with a catch. Rice's main characters are strongly voiced women, particularly Tara. At seventeen years old, she is thrust into the limelight in London, and her naivety often gets the best of her. Though interestingly, I often forgot she was only a teenager. Rice managed to create a character who conveys a girlish innocence and an adult determination simultaneously. Lucy, however, is aloof and distant, an nice contrast to Tara's openness. The sisters, and the extended Jupp clan have an hilariously flippant attitude to life in their village, and the cast of supporting characters in London paint a wonderfully detailed picture of London's socialites living life as fast and hard as they can. The only flaw in the novel was the focus on Lucy and Raoul. I felt their relationship could have been explored in much more detail. 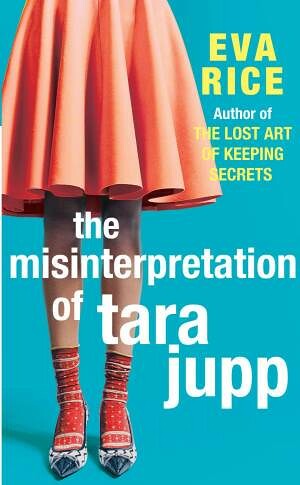 The reader only learns about their struggles through Tara's limited observations, since Lucy is so closed off. I think Rice could have devoted a little bit more time to their storyline, and to the issues they faced. Their plotline sometimes felt like a cursory glance into married life, when there was obviously a deep love story that had developed. Overall, the novel was a fast and fun read. The characters were a mix of quirky and everyday people, and Tara's life in London stops just short of becoming a cliche. Her desire not to fit into the mould of a sixties songstress is what makes her so utterly likeable, and this coming of age is written in sweetly understated style.